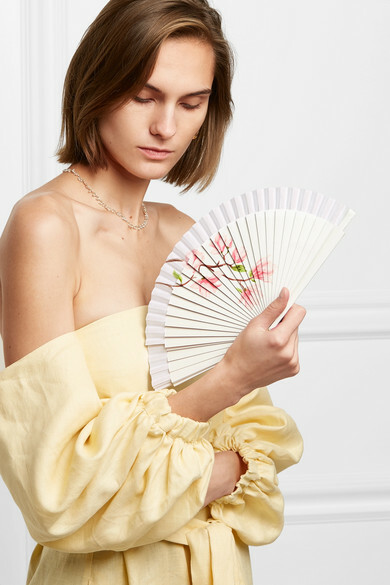 Daisy Hoppen is inspired by historical illustrations of women carrying fans and the elegance these evoke. 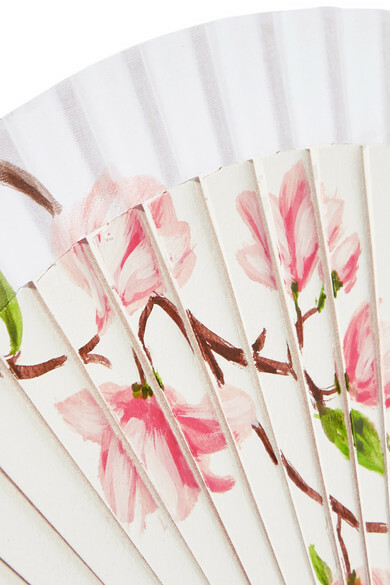 Her brand Fern Fans handcrafts each design in Spain from birchwood and cotton-voile to make them as functional as they are pretty. 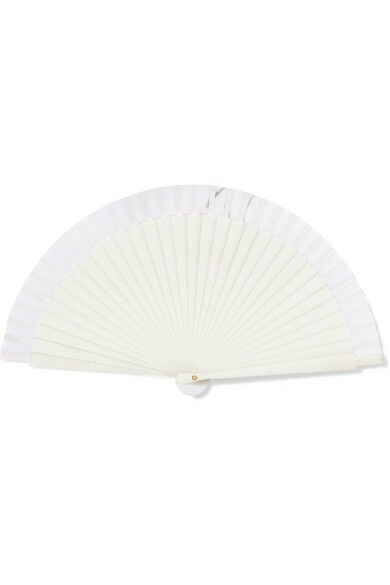 This white one is painted with sakura blossoms across its collapsible fluttery pleats. Stash it into a pocket or tote once the sun turns in. Shown here with: Lisa Marie Fernandez Dress, Chan Luu Necklace, Sophie Buhai Earrings.